2) Fold your sheets! I know, I know. Folding a fitted sheet is a pain for almost everyone. But, it can really increase the amount you can fit in a space, as well as look nicer. If you need some guidance, ask Martha, of course. This is how I fold fitted sheets. 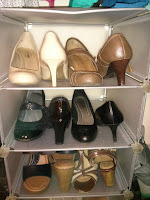 3) Store shoes toe-to-heel! Simply put, it lets you keep more shoes in a row in any given space. I promise. 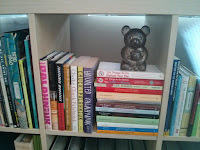 4) Media can stand and/or lay on your shelf! 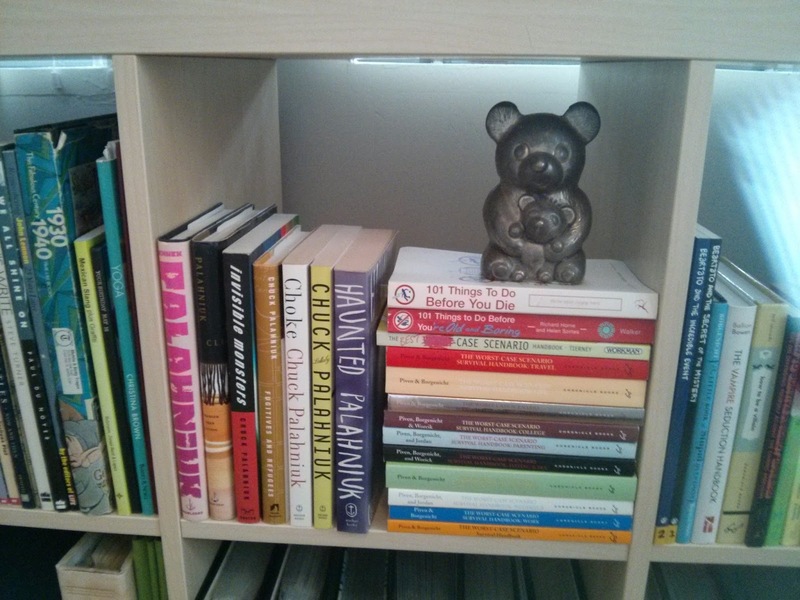 Traditionally, books, movies and music stand in a row on a shelf. However, sometimes it fits the space better if you stack the items on their side. This is especially handy for shorter items that you have in abundance. 5) Label things! I know I've said it a thousand times, and I'll say it at least once more. Even if you're setting up the space just for yourself, labels help remind you where things were moved, where to find them and where to put them away. It will help build your new habits. If it's a space that's all your own, once you've conquered your old habits and created new, you can always remove the labels.